The global Halal market is estimated at US $2.70 trillion in the year 2015 with 67 percent of this market, amounting to US $1.9 trillion, consisting of food and beverages. Pharmaceutical products make up 22 percent or US $594 billion while cosmetics and personal care is estimated at US $206 billion. Halal market will raise up to US $10.51 trillion by the year 2024. Dubai Expo will be held in 2020 for the first time in its history in the Middle East, Africa and South Asia region, which includes 72 countries with a population of 2.8 billion people. The importance of the commercial role of the United Arab Emirates globally to its geographical location which connects the east and west. Expo Dubai is expected to attract 25 million visitor during the period from the beginning of the opening day on October 20, 2020 and until the day of closing on April 10 2021. Dubai is characterized by strongly attracting visitors from around the world, where it had 14.2 million passengers in 2015. There is no doubt that Expo 2020 will raise the demand on Halal products in the United Arab Emirates and the GCC countries as a result of the huge numbers that will be visiting the exhibition. 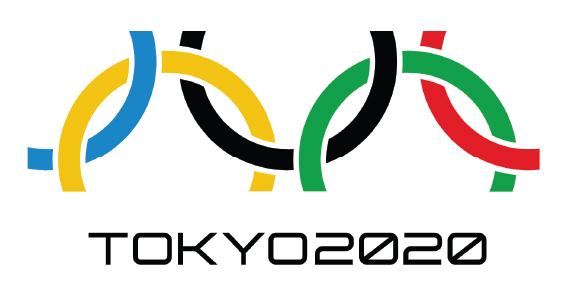 The demand for Halal products is expected to increase as: athletes and tourists from Islamic countries will need Halal food and Halal products during the Olympic Games in 2020. Even after the Olympic Games, Muslims tourist numbers are expected to increase due to experiencing the remarkable Japanese culture and its enchanting tourist destinations, therefore demand for Halal food and Halal products is expected to maintain. From a business perspective, the Halal market undoubtedly offers a range of compelling opportunities. As many traditional markets reach saturation, the emergence ofa new market, based on Halal values and principles. This is strongly led by the food and beverage sector, and has more recently expanded into the pharmaceutical, cosmetic and personal-care sectors, driven by increasing consumer awareness and new market opportunities. Halal certification concept include the food safety system in the food production facility therefore auditing which is part of the Halal certification process include checking that food safety systems such as HACCP or ISO 22000 are applied. Opposite to Halal is the HARAM which is the forbidden, generally speaking all foods are permitted except those taken from permitted animals such as pig and the dead, the dead is the animal that died without Halal slaughtering , the animal that died due to suffocation, also animals that struck with a stick or something heavy until she died from strength pain, also animals that died from falling down from altitude, also animals that died from struggling with other animal , also animals died after eaten by other predator animals ,dogs and predators and also food and drinks that contain alcohol, poison or any harmful compound to health. In addition to the above prohibited animals internationally, such as endangered, the slaughter of animals must also be in a humane manner and Sharia-compliant, in the name of God Almighty. Islam is an Arabic word which means Submission or to Submit to The Supreme Being, The Creator, whose proper name is ALLAH, Subhanahu wa ta'ala. The Oneness of ALLAH, Subhanahu wa ta'ala, is the basic principle of Islam, and is called Tawheed. Muslims are those who submit, totally, to ALLAH, Subhanahu wa ta'ala. So what is Halal Food? Swine/Pork and its by-products, and omnivorous animals. Animals NOT properly slaughtered according to Islamic method or dead before slaughtering. Carnivorous animals and birds of prey. Foods contaminated with any materials from above categories. Due to advancements in food processing techniques, the Halal and Haram get more difficult for normal people to recognize in the final products. For example, using enzymes, emulsifiers, flavorings, colors and other food additives can make the food Halal or Haram depending on the sources of these material. How to get Halal Certificate?